fireworks | Crystal Water Villas Blog - Lake of the Ozarks! 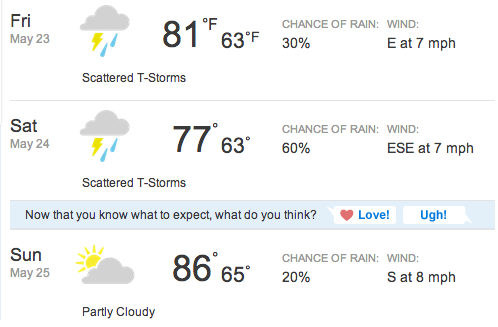 Still need lodging for Memorial Day weekend? We’ve got you covered!! Take a look at our beautiful, cozy properties TODAY! Spots are filling up very quickly! 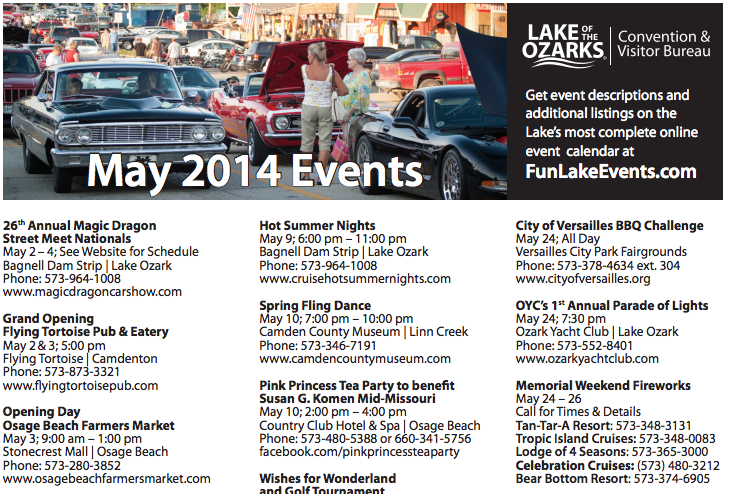 Also, if you’re not sure what to do on Memorial Day weekend at the Lake of the Ozarks, here are five events you won’t want to miss. 1. Memorial Day Weekend Fireworks. May 25-27th. Watch the sky light up during Memorial Weekend. 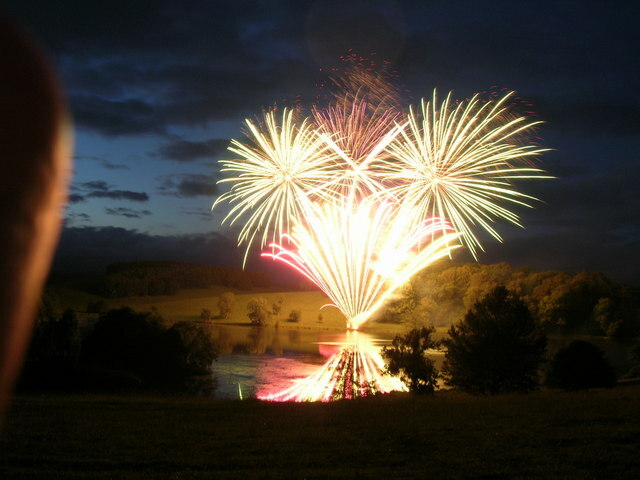 Fireworks will be hosted at different venues around the Lake throughout the weekend. Call 1-800-386-5253 to find out specific viewing locations. 2. Main Street Music Hall presents “Special Guest” Trent Wideman in a live performance. Don’t miss this excellent family comedy. May 24th-25th. Buy your tickets here. 3. Huricane Deck Lions Club Panake Flip – Hurricane Deck Lions Building. May 25th. The Hurricane Deck Lions Club is having a (All You Can Eat) pancake and/or biscuit and gravy breakfast on Saturday, May 25 from 7:00 to 11:00 A.M. Breakfast includes pancakes, sausage, or biscuits and gravy, orange juice, coffee or tea. Adult price is $6.00, children 10 and under is $3.00. All proceeds are used for Lions Club projects which benefit the community. The Hurricane Deck Lions Club is located of Highway 5, ½ mile down Purvis Road (Lake Road at 5-29, Laurie—Sunrise Beach). Bring the family and enjoy. 4. Sax on the Beach – Seven Springs Winery. May 25th. Sax on the Beach pride themselves on being a highly professional and workable band that can please all crowds. Performing all over Missouri and surrounding areas, they cover a wide range of music styles varying from Etta James to Lady Gaga. For more info, visit SotbLakeOzark.com. 5. The Charlie Daniels Band – Lake of the Ozarks Ampitheater. May 29th. 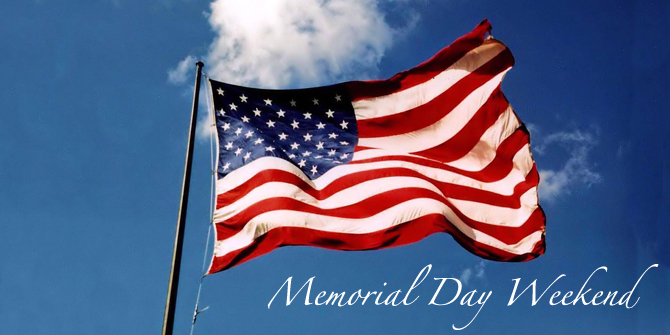 The Charlie Daniels Band will appear at Lake of the Ozarks Amphitheater Memorial Day weekend in a Salute to the Soldiers performance scheduled for the holiday weekend. Tickets are free to all active duty and reserve military with identification. For tickets, visit www.ticketmaster.com. 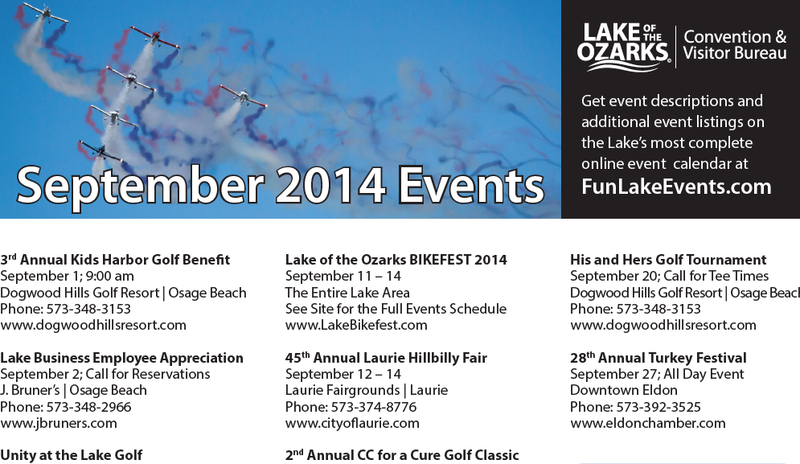 As always, don’t hesitate to give us a call if you have questions about other events happening at the Lake of the Ozarks! Call us at 1-866-273-2169.